Metro Atlanta is one of the fastest growing cities in the country. As our city transforms, it is critical that urban farms and gardens are integrated into this new development. Just like parks, community food-producing spaces are key to Atlanta's resilience. They connect city dwellers to where their food comes from, activate consciousness around food choices and improve the ecological, economic, social, and nutritional health of communities. As a grant maker, Food Well Alliance mobilizes capital in ways that are equitable and accessible. Since 2015, with the generous support of the James M. Cox Foundation, Food Well Alliance has regranted nearly $3.5 million dollars directly into over 100 urban farmers and gardeners, local food enterprises, nonprofit organizations, and public institutions that are all using locally-grown food to build healthier communities in Atlanta. Calling All Community Garden Leaders! 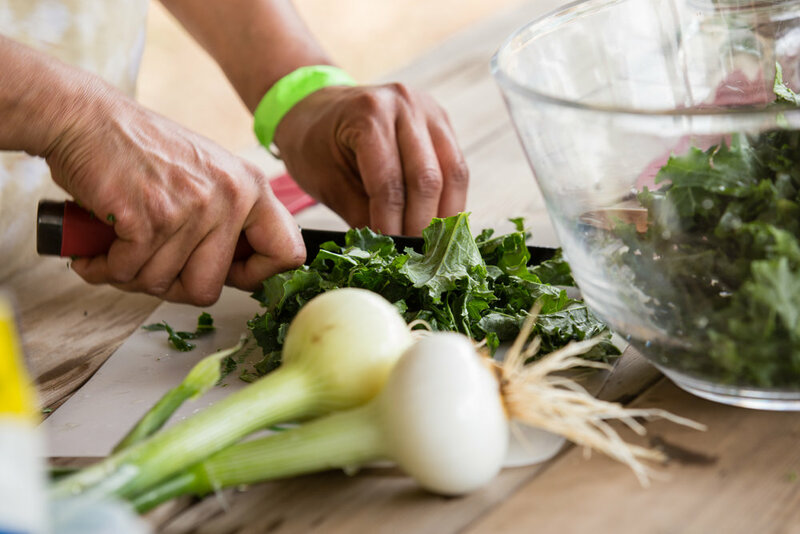 As community gardeners prepare for a new growing season, Food Well Alliance is here to support with our 2019 Community Garden Grants. New this year: We’re excited to introduce three amazing opportunities! Earlier this year, we launched grant opportunities that seek to build the capacity of 1. urban farmers, 2. organizations that educate about the benefits of local food, and 3. entrepreneurs developing models to improve local food access in the neighborhoods that need it most. We will be announcing our next round Summer 2019. Are you a community farm in metro Atlanta? Learn more about this $25,000 grant opportunity here. Do you work with urban farms and gardens to educate communities about healthy, local food? Learn more about this $10,000 grant opportunity here. Are you a social entrepreneur developing a product or service to improve local food access? Learn more about our scholarship at CCI.